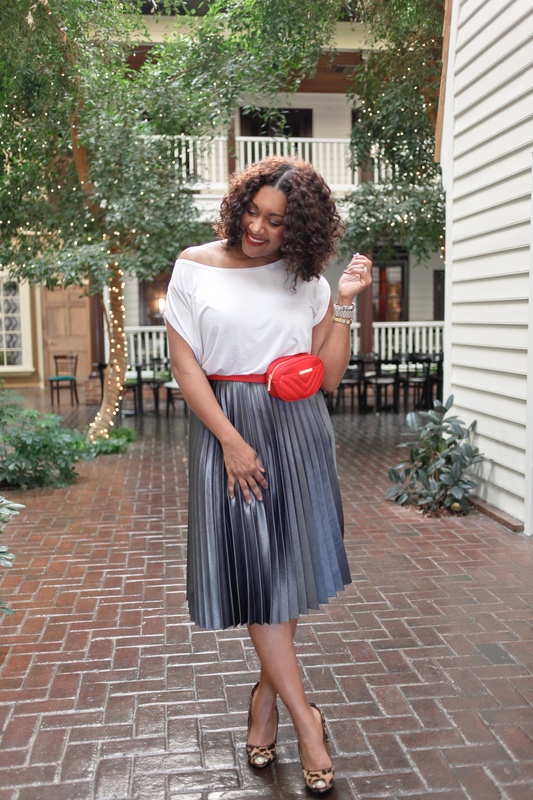 Next up, for this pleated metallic skirt is a little flirtiness + a little edge. Perfect for a GNO where you want your hands free to hold a good cocktail or throw your hands in the air like you just don’t care. Also great for brunch at a new restaurant (I’m pictured in front of Mahogany Restaurant in Memphis; see their website/brunch menu HERE). Guess what else? Since the spring/summer festival season is right around the corner, you could add flats or mules for a cool festival look. So how’d this look come about? 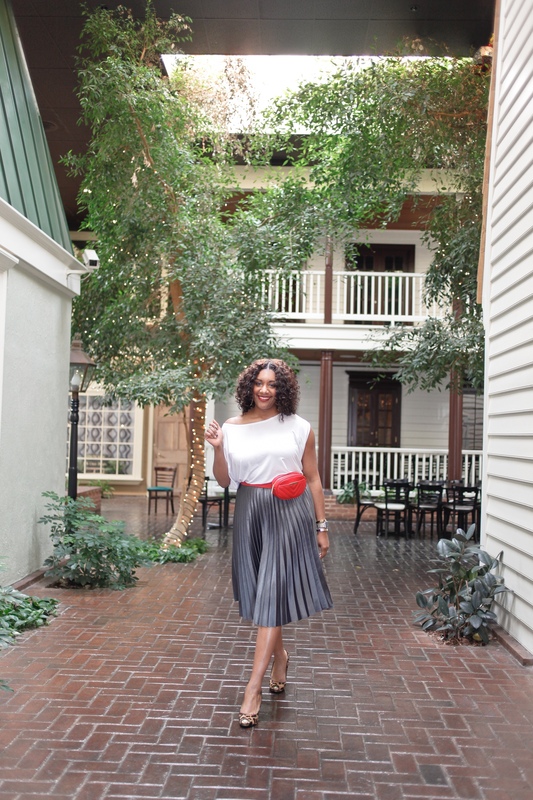 The last time I styled this skirt (HERE), it was super sporty. I wanted to dress the skirt up a little, but still have a casual, cool girl vibe. 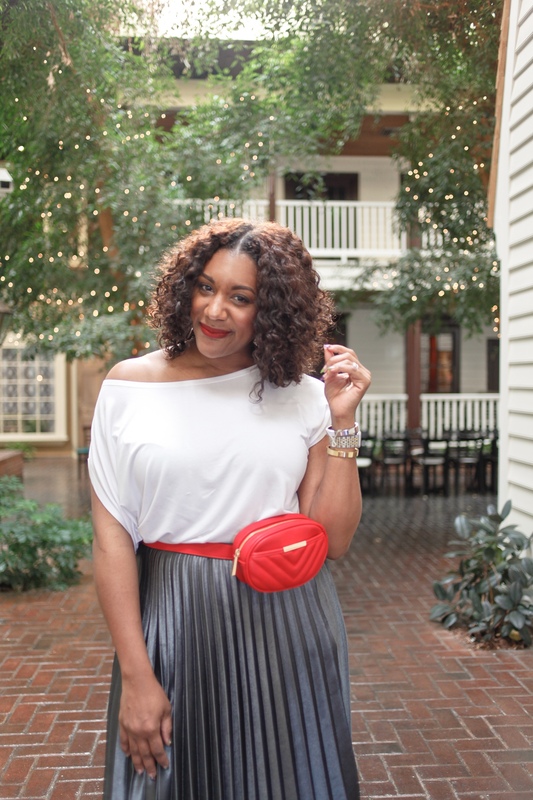 I started with the skirt, of course, but this whole look was based around this belt bag. I thought the red would pop like POW against the metallic gray annnnnd I was right! This top was only purchased because I needed an OTS top quickly for a trip last year (Amazon Prime to the rescue!) It’s super drapey, but tucking it in takes away some of the volume. You know I think leopard is a neutral and I’ll add it to the mix anytime. I really tend to gravitate towards leopard anytime red is involved. Guess it’s just how I’m wired. All in all, I think this look turned out fabulously. What do you think? 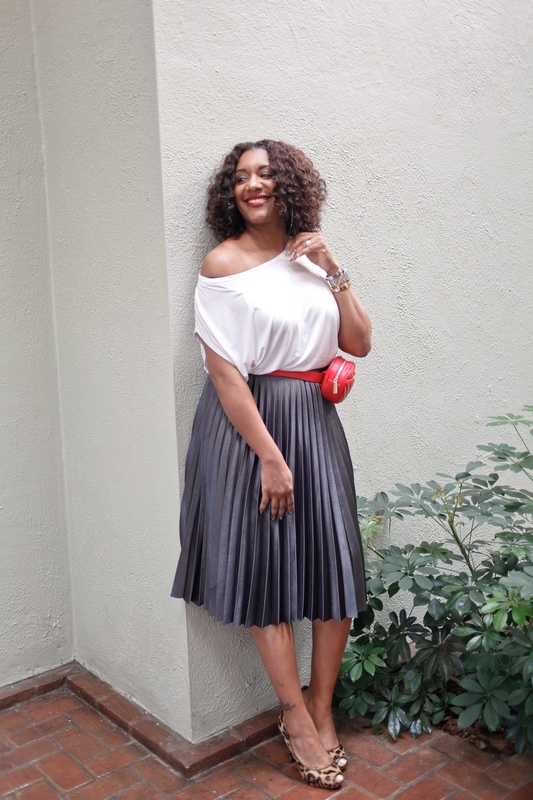 According to Q, the pleated skirt provides a great foundation and the cool metallic color goes with everything! 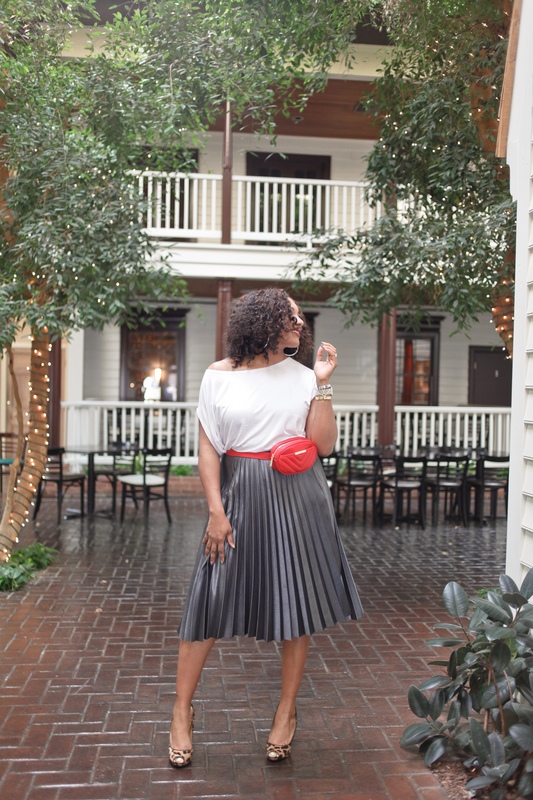 Adding a flirty top and a trendy belt bag are easy ways to transform a pleated skirt into an outfit fly enough for all of your spring and summer shenanigans. Stay tuned for more ways to style this very versatile piece! 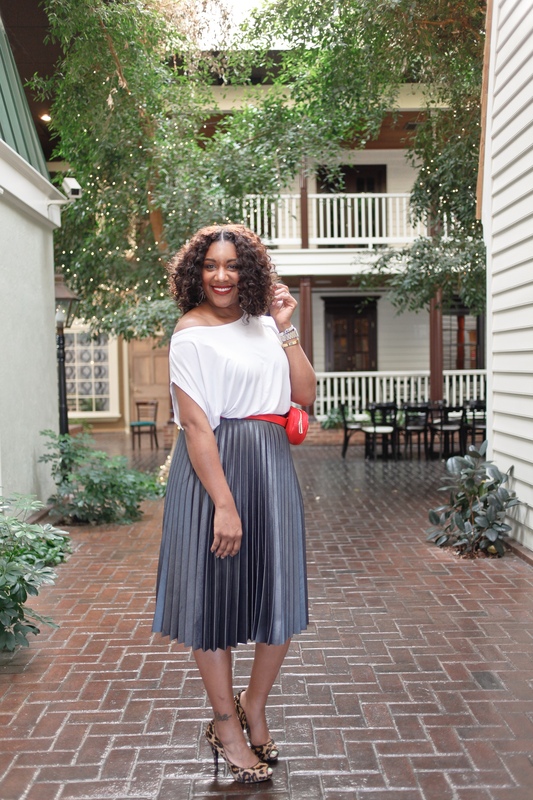 Cheers to being a versatile chic with a versatile closet! That skirt is so chic! I love the metallic and that belt is perfect with it!